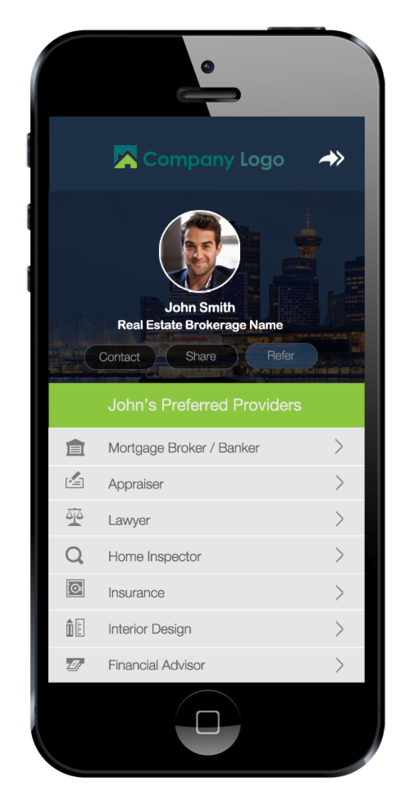 Over the past few weeks, we’ve been sharing details on our new product ClientLinkt – a solution for real estate agents to share their list of trusted service providers with clients via their own custom-branded mobile app. 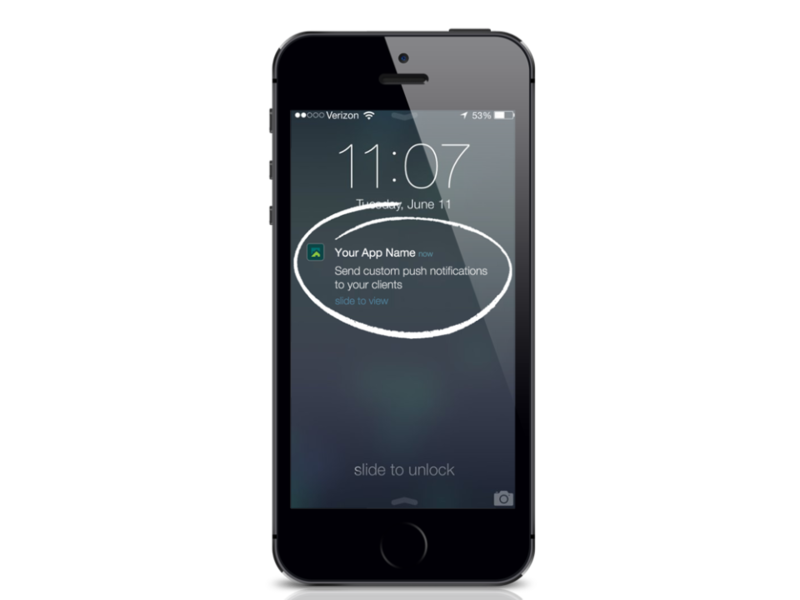 Today, we’re doing a feature spotlight on how agents can send push notifications with ClientLinkt. The great thing about ClientLinkt is that it keeps agents connected with clients during the buying or selling process and long after the deal closes. Not only does having your app on clients’ phones build your brand, but it also serves as a constant touch point. Clients can instantly call or email agents from the app, and agents can also communicate with current & past clients by sending Custom Push Notifications. 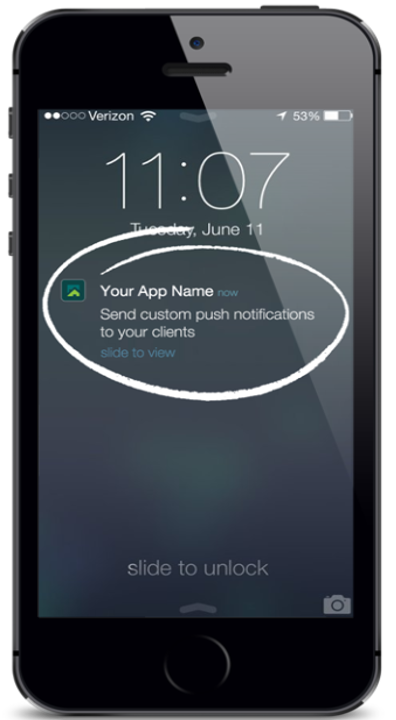 With the Custom Push Notifications feature, agents can send short messages to everyone that’s downloaded their app. Agents simply login to their app management dashboard to send an alert or update, and the messages are branded for them to include the app icon. These communication tools are therefore a nice addition to e-newsletters, check-in calls & other methods used to stay in touch – but don’t increase an agent’s workload. Better still, clients can get valuable info from their agent right at their fingertips. Sending push notifications is also great because it increases client engagement with your app and keeps your app on their phone for longer. For example, you can send market updates on recently sold properties, new listings, deals & specials from your list of preferred service providers, tips for growing home equity or alerts when mortgage rates change. These types of talking points are ideal for staying connected with clients and showing your value & expertise as a real estate agent. New Networking Tools are Here! This week, we’re excited to announce that the QuickLinkt Networking Tools have been released! These features make it easy for businesses to grow their professional referral network and promote referral programs to clients. 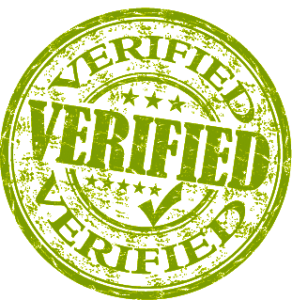 They’re key for engaging with referral sources and ensuring referral program success. The networking tools allow businesses to invite professional contacts to join their Referral Network. Businesses simply enter the email address of contacts they’d like to invite and then QuickLinkt sends a personalized email asking them to create a QuickLinkt account and join the business’s network. Once they select to create an account, either through the Smartphone App or web interface, they’re automatically added to the business’s network and ready to send referrals. We’ve seen our beta users increase referrals 2-4X by inviting professional contacts – so it’s definitely a simple step with dramatic results. 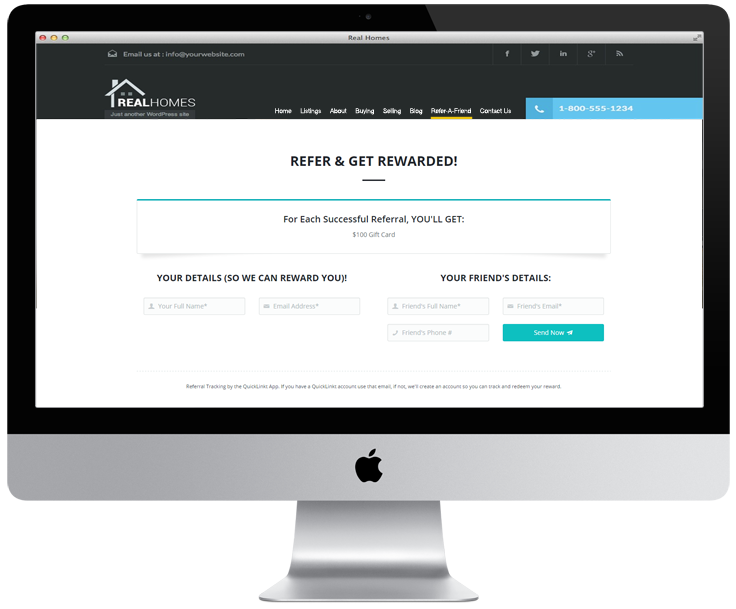 The new networking tools also allow businesses to promote referral reward programs to their customers/clients. These tools include posting to Facebook & Twitter, email templates, links for email signatures, and adding website Referral forms. 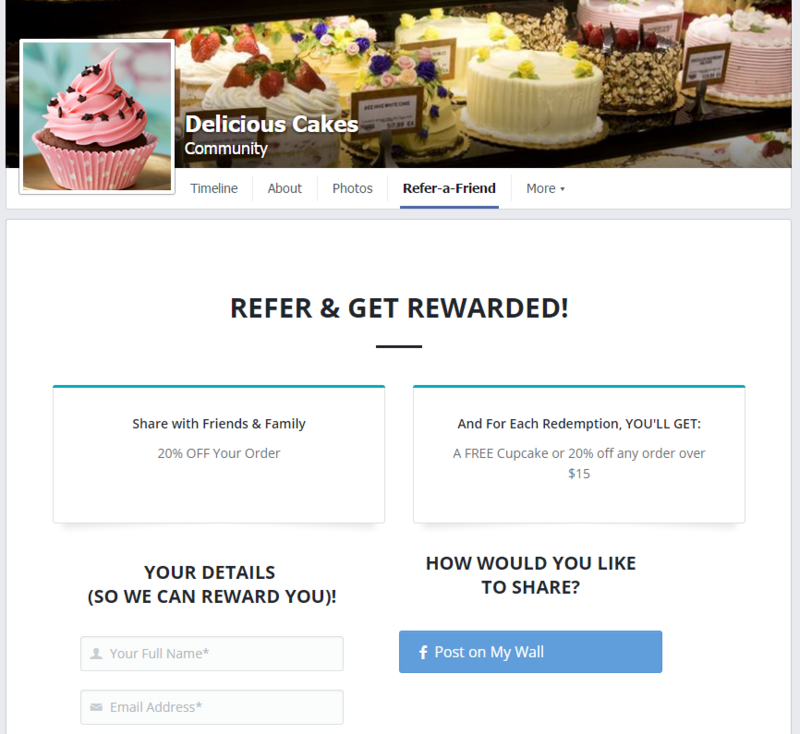 By publicizing rewards across marketing platforms, businesses can ensure their customers/clients learn about the referral program and are incentivized to participate. These features are now available to all businesses using QuickLinkt. When logging in to the Web Manager, you’ll see the Networking Tools in the Settings menu. You can then choose either Grow Network or Promote Program depending on if you’re focused on referrals from professional contacts or customers, or choose to use both. For example, we’re seeing Mortgage Brokers use the professional networking tools for connecting with real estate agents & financial advisers, and the promotion tools for increasing referrals from past clients. As always, we’re excited to be helping businesses grow referrals and increase loyalty. If you’re a business using QuickLinkt, feel free to email support@quicklinkt.com or visit our Help Desk to learn more about these new features. 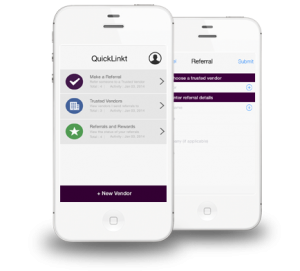 This week, we’ve released QuickLinkt Referrals for Facebook. While customers have always been able to share offers on Facebook using QuickLinkt, now businesses can also add a custom Refer-a-Friend tab to their Facebook page. The tab allows clients & customers to submit referrals right from a company’s page, and all referrals are automatically tracked through QuickLinkt. This way, we’re helping businesses encourage referrals and increasing ROI from social media. Creating greater integration between QuickLinkt and Facebook was an obvious fit. Since many businesses use social media as their primary channel for interacting with clients and customers, the Refer-a-Friend tab is a great way to increase referrals. Better yet, since local business pages get over 645 million page views per week, it’s a great channel for encouraging referrals. Adding the Refer-a-Friend tab to a Facebook page is also a great way to see real ROI from social media. The Refer-a-Friend tab delivers qualified leads, and tracking sales is automatically done through the QuickLinkt platform. And since 52% of brands state that social media ROI is their greatest frustration, Facebook referrals can combat frustration and take social media marketing beyond Likes & Shares. Businesses using QuickLinkt can add the referral form to their Facebook page in under a minute by logging into their account and selecting the Facebook Tab option in the Settings Menu. Because we’ve built the Referral tab as a Facebook app, there’s no coding required to add it to a Facebook page. Better yet, this feature comes at no additional cost for users with QuickLinkt Professional accounts. The Refer-a-Friend tab for Facebook pages makes it easier for customers to send referrals, and for businesses to see real ROI from social media. If you’d like to learn more about the full QuickLinkt platform visit www.quicklinkt.com or www.quicklinkt.com/getstarted to start your free referral management plan. We’re excited to announce that we’re making it even easier for businesses to increase referrals! 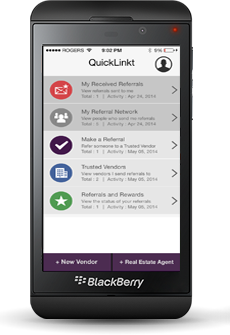 Now, in addition to receiving referrals through the QuickLinkt Smartphone App, businesses can also allow clients to send referrals through their website with Refer-a-Friend Website Widgets. Better yet, we’re making referral software accessible to the masses by offering Refer-a-Friend Widgets for free. 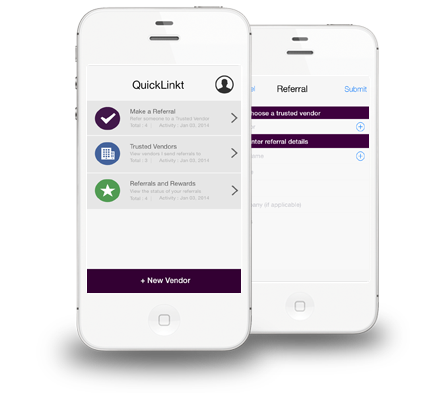 Businesses can add QuickLinkt referrals to their site by adding a Refer-a-Friend page or a Refer-a-Friend slider. Whether the business has a WordPress or custom site, the technology can be added in under 5 minutes without any coding. All referrals are tracked through the QuickLinkt Web Manager, and businesses can update or change referral incentives at any time. With these new features, any business can use QuickLinkt to power its referral program for free. While similar services offer Referral Website Widgets with monthly subscription fees or charge per lead, we wanted to offer a digital referral solution that would be accessible to any small business or agent. Businesses can visit quicklinkt.com/getstarted to create their widget and start their referral program without entering any credit card information. Business that are already running referral programs using QuickLinkt mobile referrals can also use these features at no additional cost. By logging into the Web-Managemet System, you can access your Refer-a-Friend Widget and Slider under the Settings menu. 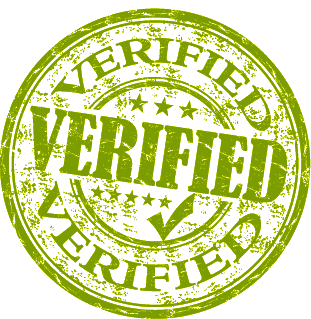 You can also find detailed instructions on adding referrals to your website in our Help Desk. By increasing the number of ways businesses can receive referrals, we’re making easier for customers to share their favorite businesses and for businesses to increase leads. If you’d like to learn more about our new Refer-a-Friend Website Widgets or starting your free referral program, visit quicklinkt.com/getstarted or feel free to email us at hello@quicklinkt.com.